Generally speaking, the first two categories are more interesting because it’s much harder than you might think to find people who write mostly about how to learn. Thus, this post is the result of hard work. Naturally, this doesn’t mean that I have managed to find everything of interest on Twitter! In fact, part of the reason I write this article is to expand my horizons, so don’t hesitate to recommend more/better Twitter feeds, please leave a comment! I’m mostly interested in suggestions belonging to category one and two. To view all these lists, please check my Twitter account here. Naturally, I’m going to put myself as number one, simply because if you like what I do in general, it makes sense to follow me on Twitter since I share most of what I read online and offline. I also follow all users listed in this article and retweet the best. Even though Khatzumoto writes mostly about Japanese (there is some Chinese in there, too), this doesn’t mean that what he writes is only for students of Japanese. He tweets quite a lot and not everything is useful, but the really good tweets make it worth it anyway. 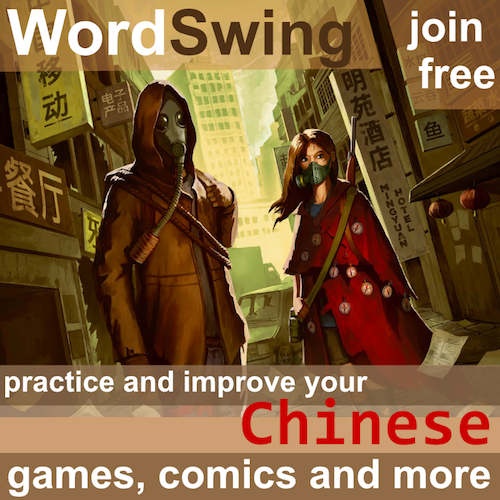 Although superficially similar to Hacking Chinese, Dave actually covers a wider range of topics than I do, including living in Taiwan, actual Chinese grammar and vocabulary plus anything else of interest he finds related to Chinese. Excellent! Generally worthwhile Twitter feed with a mixture of personal comments, notes about vocabulary and occasional links to awesome articles. Don’t miss articles on the website, which are of a very high quality indeed. John Pasden’s Twitter feed is a must for any Chinese learner. He provides a mixture of commentary on China, Chinese and language learning, along with more personal thoughts and observations. As the name implies, this twitter feed provided by Hugh Grigg is mainly concerned with East Asia, but I think China and Chinese are much more in focus than other countries. Frequently comments on current events. Niel de la Rouviere doesn’t tweet often, but when he does, it’s worth looking at. Most tweets are about learning Chinese in some way, but he also talks about language learning in general, along with some personal commentary. Jacob Gill tweets about something I think is almost unique, namely teaching Chinese. 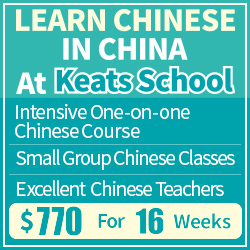 Most people will tell you what or how to learn, but Jacob will let you know what it’s like teaching Chinese. He also tweets about language learning and his life in Taiwan. Brandon tweets about a wide variety of topics, not all related to learning Chinese, but most of them still interesting. When he tweets about Chinese, it’s most likely to be about language learning or Chinese media. He also writes about life in China. ChinesePod was my favourite source of audio (especially the advanced lessens) for a few years. This twitter feed provides much more than that, though, mainly tweeting about China and Chinese language. This is Steven Daniels twitter feed, which sadly isn’t updated very often, but often contains interesting links about language learning in general and learning Chinese in particular, along with insights into the Chinese language. Even though it says “teacher”, most of these tweets are actually about learning Chinese. Sure, the angle will sometimes be a little bit different, but most things found here are relevant for students and teachers alike. Again, this feed isn’t really about living in Taipei, but more about learning Chinese and teaching English. This means that although some links are irrelevant, most are still about language learning in general or Chinese in particular. Good stuff. This feed isn’t updated very often, but when it is, the links are usually worth following. Topics are mostly about grammar or word usage, but language learning also pops up now and then. Few reviews though, so the name is a bit misleading. This is the twitter account linked to Chinese Stack Exchange (a website for questions and answers about Chinese). The twitter feed merely updates with new questions, but following on Twitter is probably easier than subscribing to the website. Even though TV and film are prominent features of this feed, it’s actually about much more than that, including language learning, vocabulary, idioms and much more. Belongs both in this list and the one below about Chinese content. An aptly named feed that keeps track of what’s going on in China, but focusing on things that are language related. Mostly posts about website updates, but is still worth following. 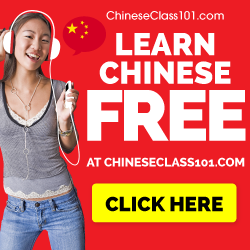 As far as I know, Scott has never learnt Chinese, but I include his feed here anyway, simply because he posts so many useful links, both to his own website and to others. A must, both for learning and other purposes. Even though almost none of Aaron’s tweets are related to learning Chinese in particular, most of what he tweets about is still relevant for Chinese learners. I particularly like his unconventional, hands-on language learning tips. This is Polish guy who tweets about learning English, but like most of the articles on Hacking Chinese, what he writes is relevant for any language. Make sure to check out his website, too. As the name implies, this user tweets about learning languages in general, so even if few links or tweets are about Chinese in particular, I’ve found lots of interesting stuff here. Also pretty good for catching things from the polyglot community. I hesitated long before putting FluentFlix here rather than in the first category. However, I decided to make it number one here because I follow FluentFlix mostly because of the Chinese content. The most interesting tweets deal with idioms and vocabulary. A must! Translation is one of my favourite ways of learning languages and therefore, I really enjoy Carl’s feed. He tweets about translation, posts exercises and discusses Chinese in general. Probably more interesting for advanced learners. Carl Gene Fordham maintains this tweet, providing Twitter with daily Chinese sentences, including Pinyin and translation. In difference to many other similar feeds, this isn’t necessarily only for beginners, I find interesting stuff here sometimes myself. This feed is mostly filled with media, vocabulary and the occasional link about Chinese language. It’s mostly directed towards beginner or intermediate students, but it’s worthwhile for more advanced learners as well. This is the Chinese version of Voice of America, which contains news in Chinese. Most tweets are actually links to articles, but simply reading the summaries or headlines is quite good practice as well. This just one feed among many similar feeds. This is simply automatically generated links to dictionary entries, posted once a day. I like having it my feed because sometimes, interesting vocabulary or word usage pops up. Brandon (see above) tweets about word usage, posting example sentences that can often be read only on Twitter (you don’t need to follow the links). Mostly for beginners and intermediate students. Tweets suitable mainly for beginners or lower intermediate students. word of the day style. Occasionally also tweets about language learning and things related to China in general. Word/sentence of the day style, with occasional links to language related articles. A weird mixture of very boring and fairly interesting sentences (some automatically generated, others not?). Mostly tweets about music, but sometimes also about other cultural activities. The only tweet I know about that focuses almost exclusively on music (there should be more like this). Is anything missing on this list? Please let me know! Any suggestions will be put on my watch list and added later if I think that they provide something which is not represented above or do it better than those I have already introduced. Thank you! A great list, and I’ve now followed many of them. It would be really useful if you did a similar thing for Sina Weibo accounts that are good for learning Chinese. 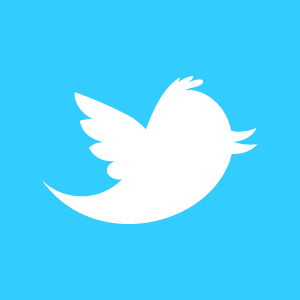 An excellent list of Twitter feeds to follow. I’ve missed some of them. Definitely gonna follow them now. Great list. I don’t follow more than half of these. Will have to poke around a bit more. 谢谢您! It is a great list – I am certainly going to follow those Twitter accounts I am not already following. So thank you for compiling and sharing. Thank you for the double shout-out, Olle! I knew of some of the folks you listed, but thanks for brining so many great new language learning feeds to my attention. Thank you for the list, found some new ones to follow! A very nice list! Thank you for including me. @VocabChinese a new Chinese word each day. I like to follow @ChineseGrammar (run by John Pasden’s company) and @Nciku! Thanks for the mention, Olle. To address that, I’ve actually set up a new presence which I’ll shamelessly plug here. 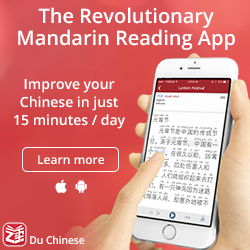 Chinese Boost ( https://twitter.com/ChineseBoost ) focuses entirely on Mandarin Chinese, without all the random stuff I’ve tended to put up on East Asia Student over the years.